Christian Dustmann is Professor of Economics at University College London. He is also the founding Director of the Centre for Research and Analysis of Migration. He is the current president of the European Society of Labour Economists (EALE), and was the President of the European Society for Population Economics (ESPE) in 2008. Professor Dustmann is an elected Fellow of the British Academy (FBA), the German National Academy of Sciences (Leopoldina), the Academy of Europe (Academia Europaea), and the Society of Labor Economists (SOLE). 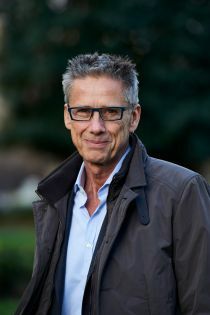 He is a leading labour economist and his work in areas such as migration, the economics of education, inequality, the economics of crime, and the economics of labour markets have appeared in academic journals including the Quarterly Journal of Economics, the American Economic Review, the Journal of Political Economy, and the Review of Economic Studies. He regularly advises government bodies, international organizations, and the media on current policy issues.